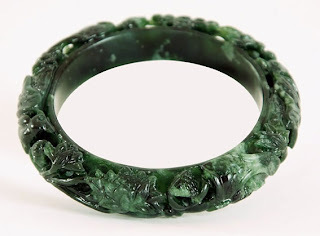 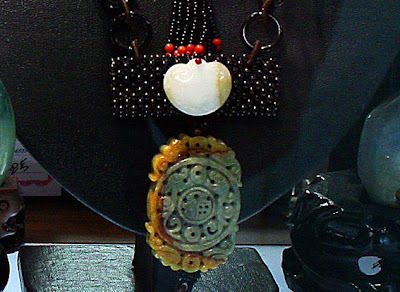 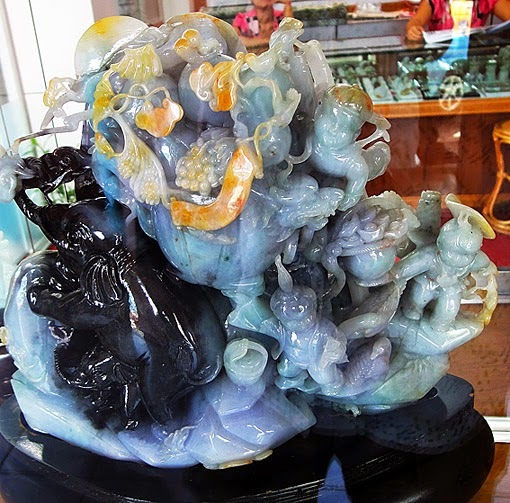 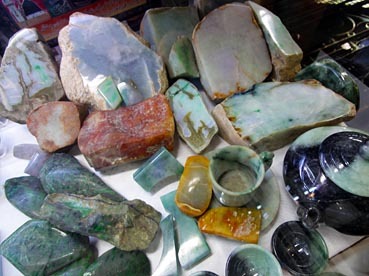 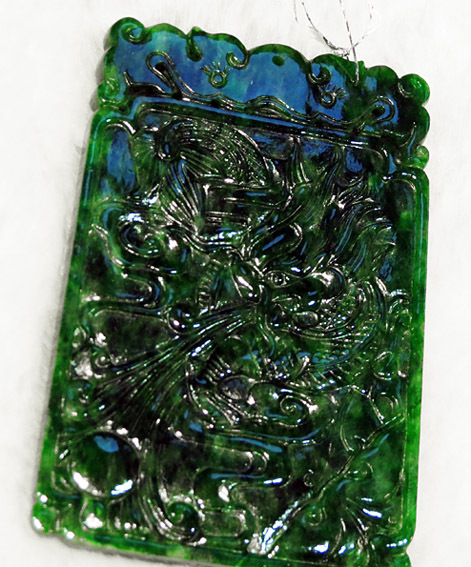 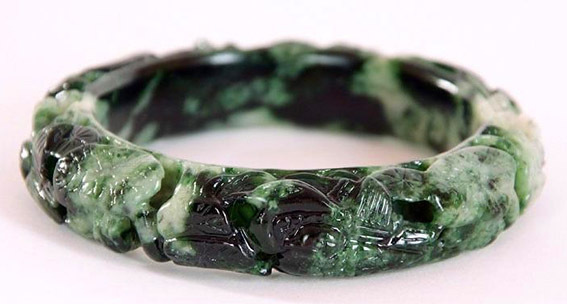 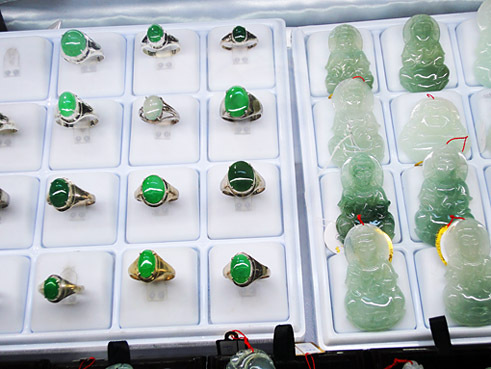 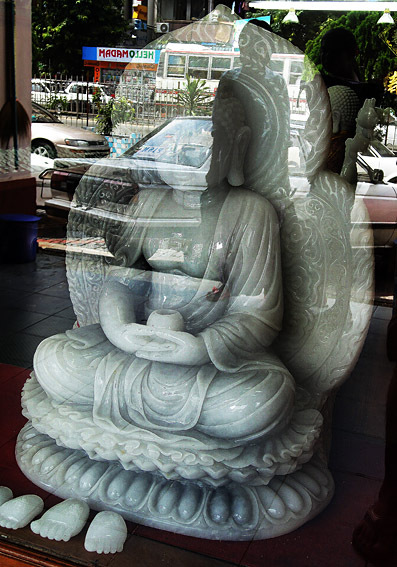 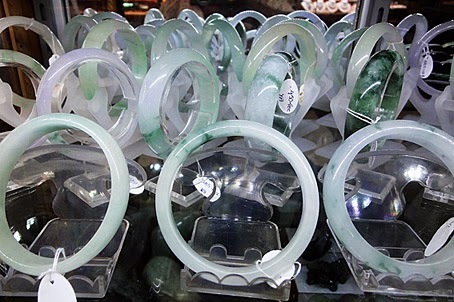 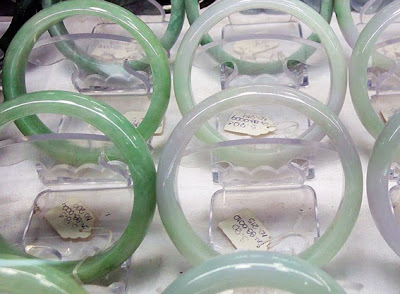 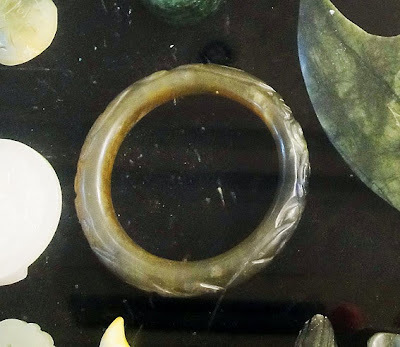 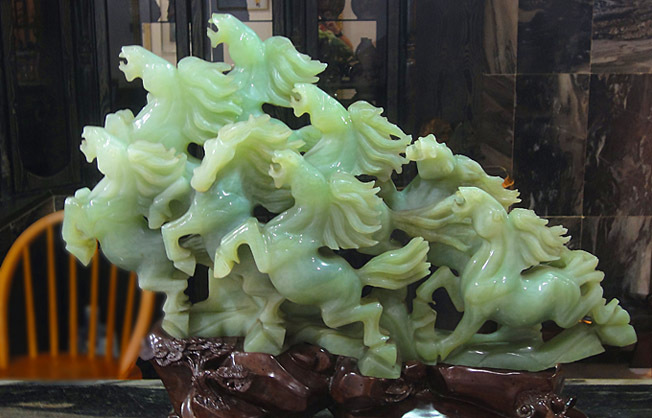 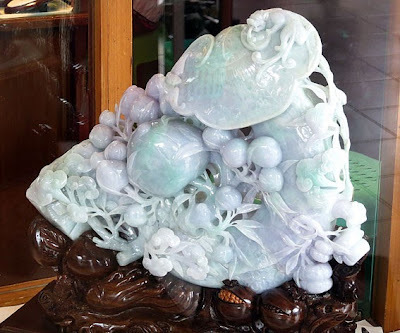 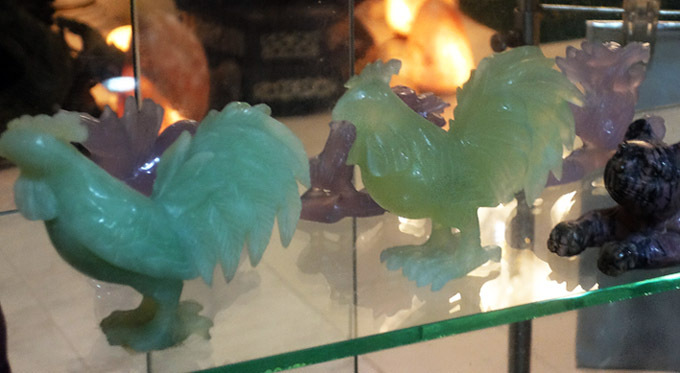 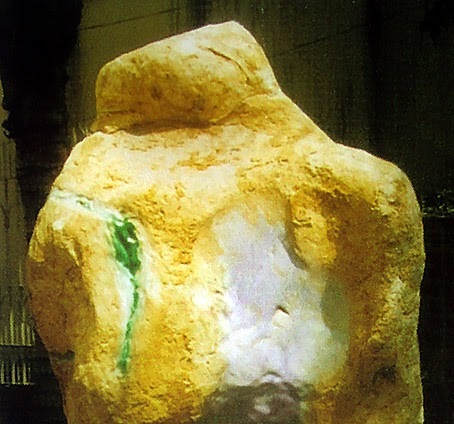 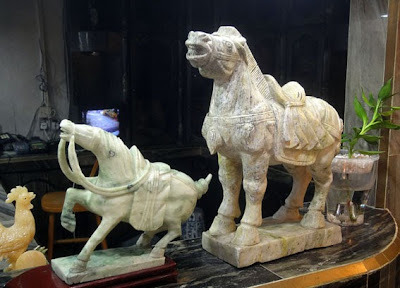 Images showing old jadeite jade sculptures such as Buddha statues, carved landscapes, animals such as horses elephants and plenty of jewelry of any type. 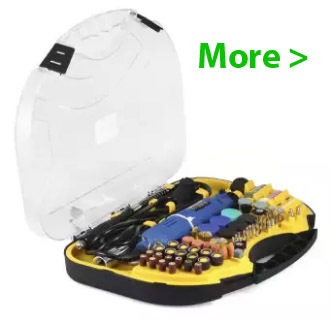 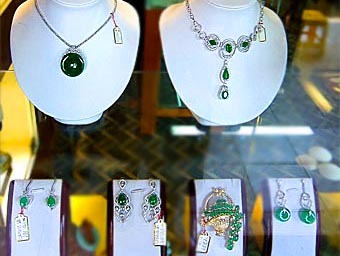 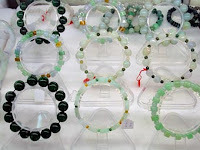 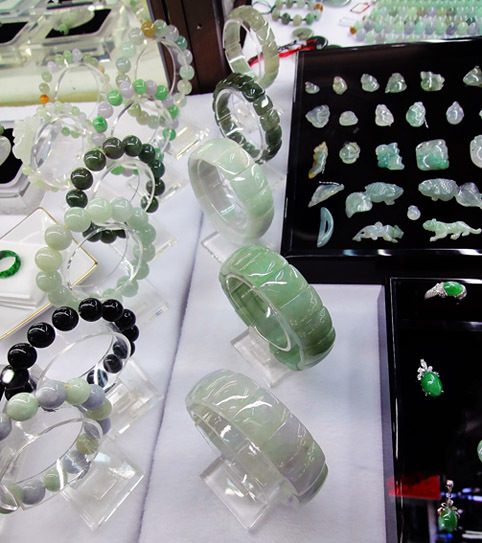 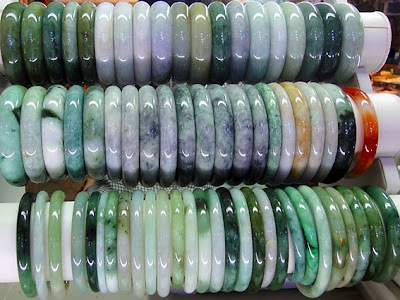 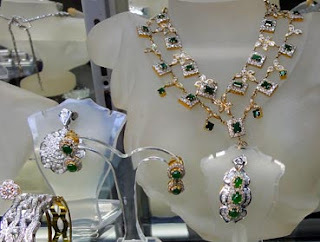 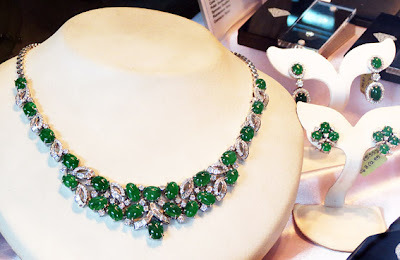 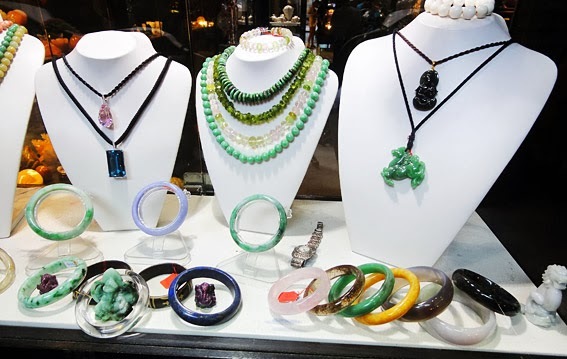 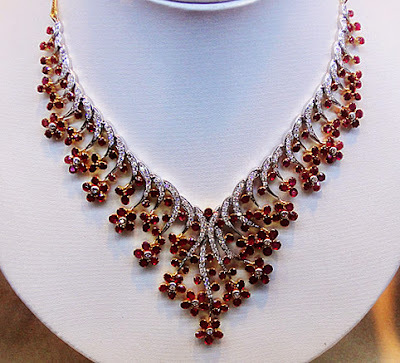 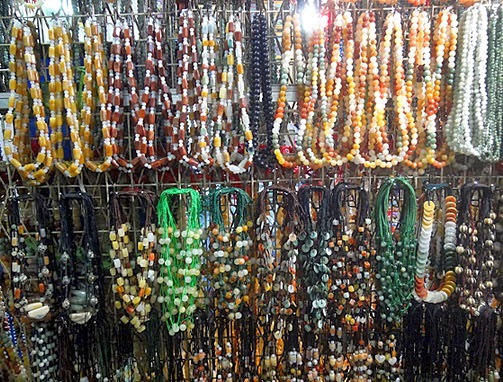 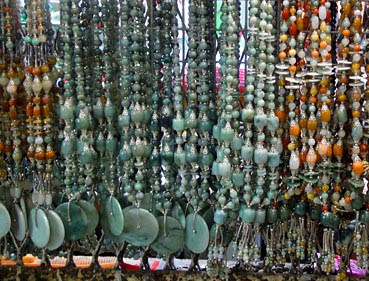 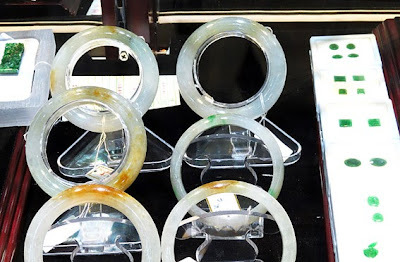 Informative pictures show the great colors of jade gemstones and jewelry such as beautiful jadeite bangles pendants necklaces earrings wide and solid rings plus body decoration. There are also great bracelets. 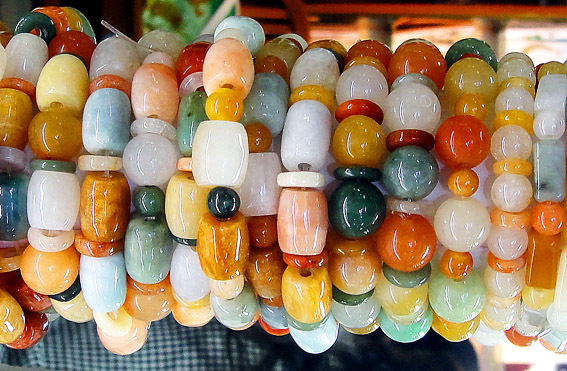 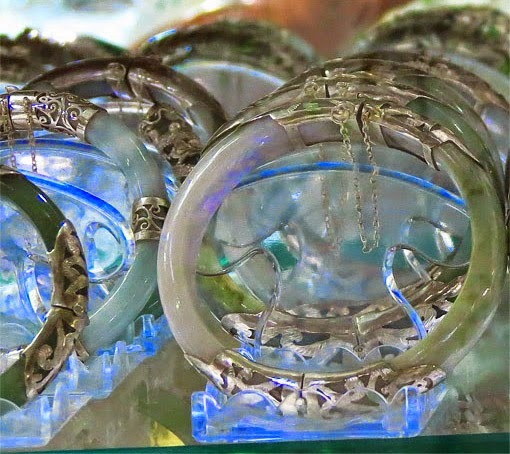 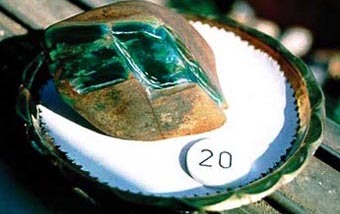 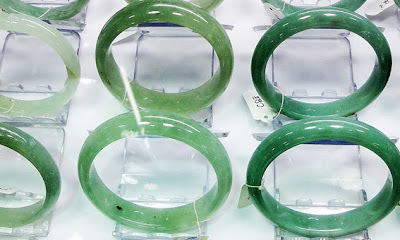 Most Burmese jade photos are impressive. 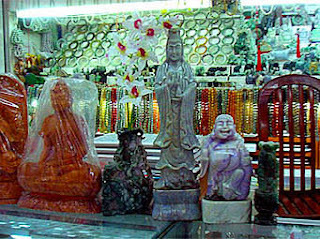 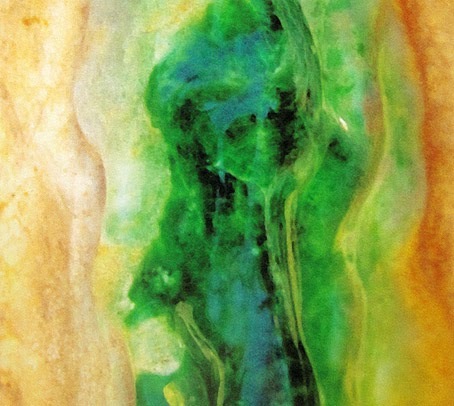 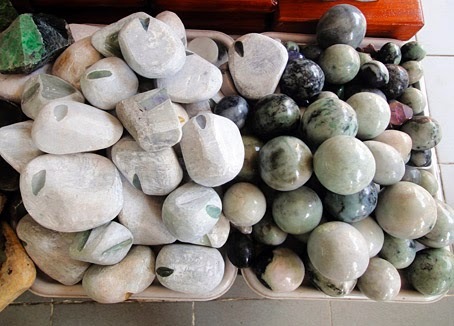 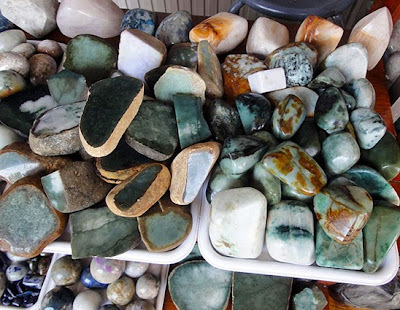 Some like wood sculptures other prefer jade, marble is also popular. 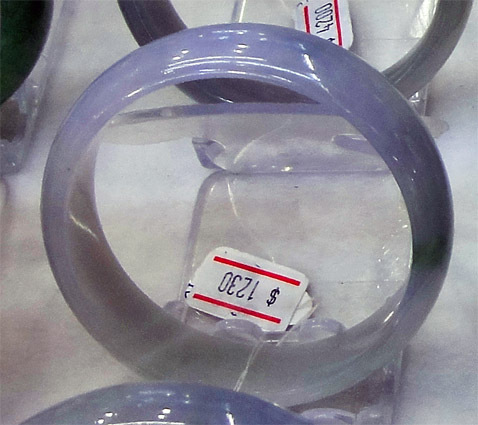 This is also a question of prices since wood is much lower priced, the exception is sandal wood. 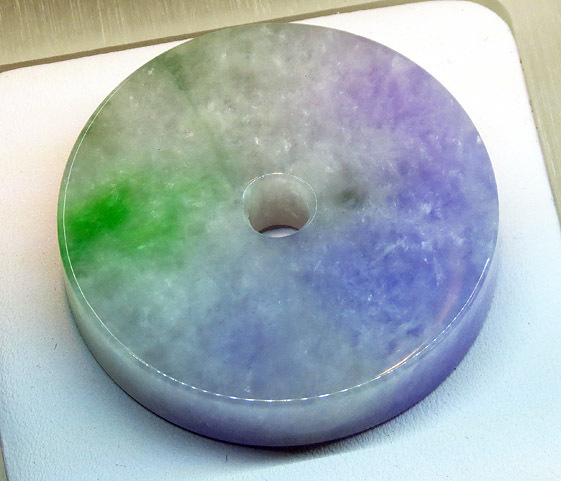 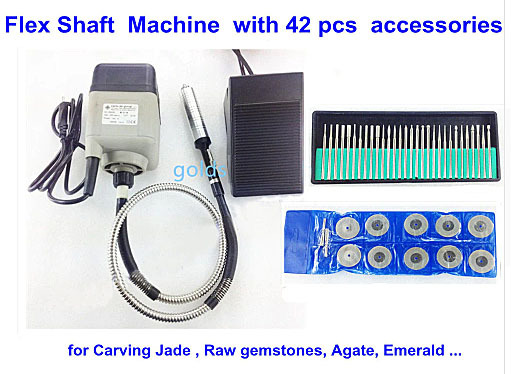 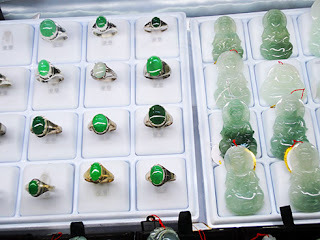 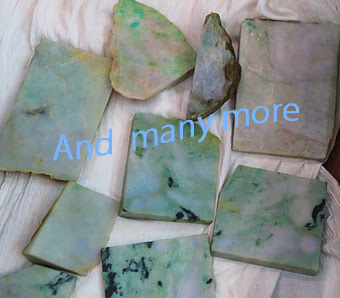 Images of raw jadeite jade rocks and stones. 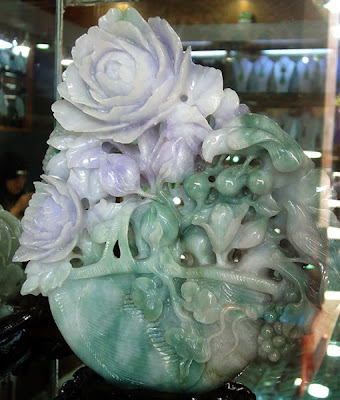 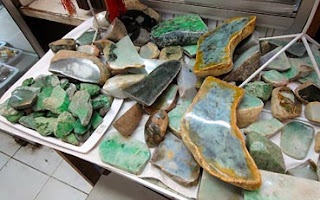 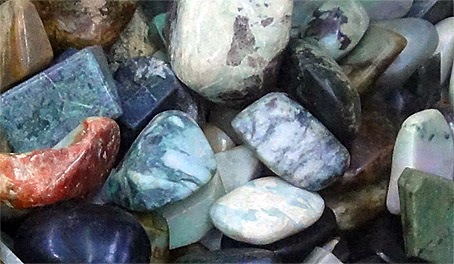 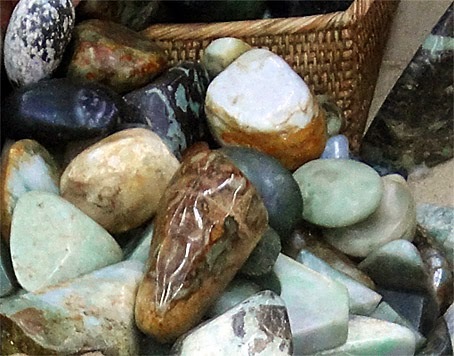 Imperial jade is the most sought after version of the stone because all the relevant high end parameter are combined here which are a a beautiful sapphire like green, other call it "grass green" and a good level of transparency which makes an outstanding piece of oriental jewelry, read more. 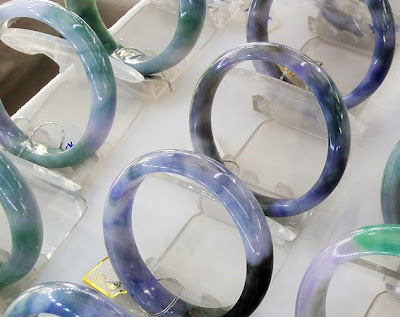 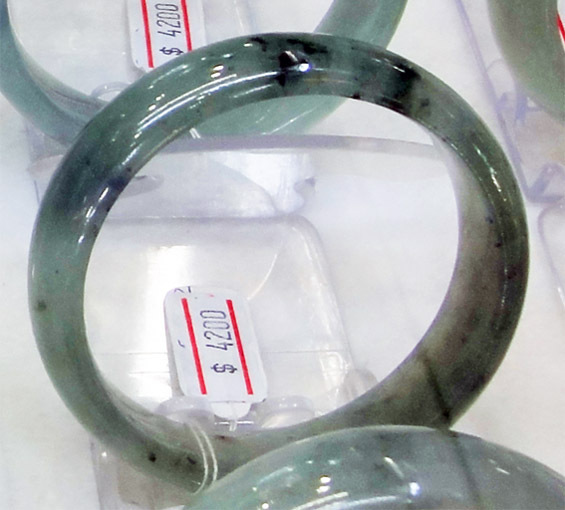 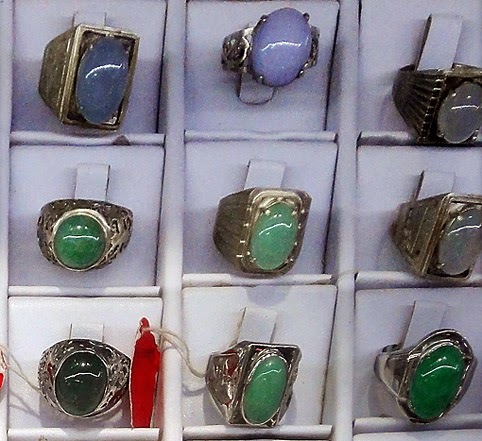 Attractive jade silver rings just looking at the images it becomes clear that this are mostly men's ring since they are rather bulky but the composition of silver together with lavender and green jadeite jade is not bad, read more. 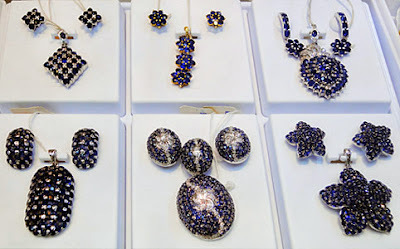 Another exquisite gemstone for jewelry is sapphire which comes in many colors, here are blue jewelry creations.